Hey my beautiful ladies! I’m 100% sure that as much as we all love having gorgeous curls, blow dryers and curling irons, unfortunately, do not love our hair in return, especially without use of heat protectant products beforehand. They instead weaken the vital proteins in our locks and depletes it of its natural oils – damaged hair. So what a girl dreaming of a voluminous curl could do? Turn to no-heat curling methods, of course! There are lots of ways to get bouncy curls without heat, even if your hair is normally stick-straight—plus they’re ideal for doing on a lazy evening before bed so you can wake up with curly hair the next morning. 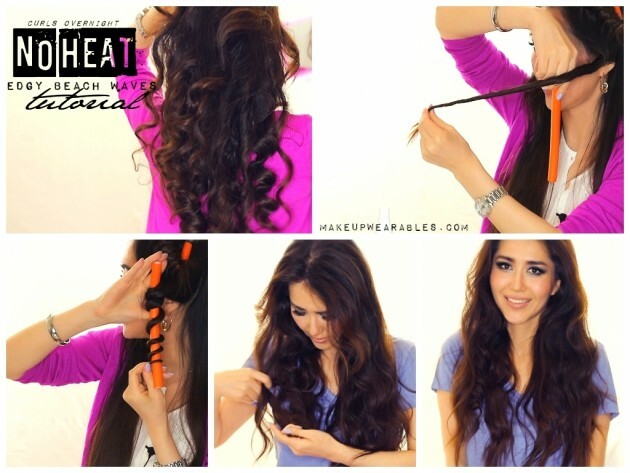 So, go ahead and check the no-heat curling methods below and do not hesitate to try them. Enjoy! 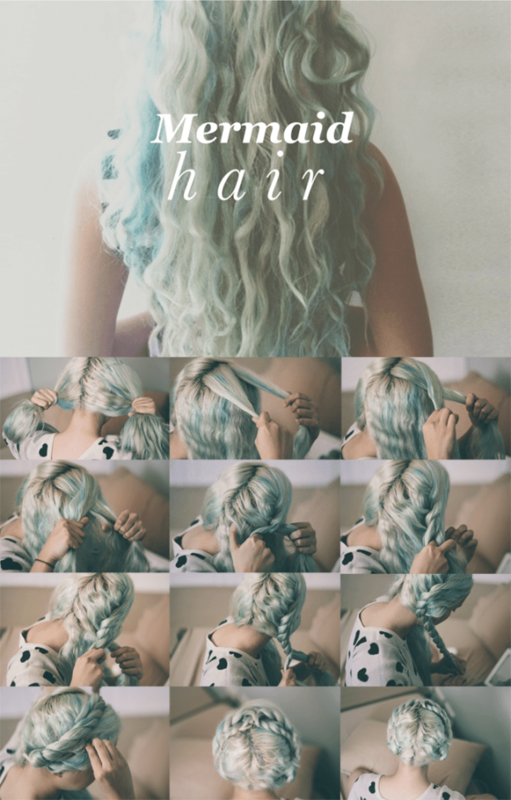 Separate your hair into two parts and twist each parts. Stick the twists for an hour and then let your hair down to get the perfect no-heat beach waves. Tip: If you’re starting with dry hair, you can also mist your hair with water to make it slightly damp. This protective style is a simple way to get defined curls overnight, whether you have natural or relaxed hair, and all you need is bobby pins. All you have to do is divide your damp hair up into sections and then roll each section around two fingers going up towards your scalp. Once you get to the top of your head, pin the twisted coil of hair against your scalp with a bobby pin. Repeat until all of your hair is pinned up. Tip: Use bobby pins to pin up stray strands. The best part about this technique is that no expensive tools are necessary—just two pairs of socks! I prefer to do this on hair that is completely dry and not wet from washing. I find that it’s less frizzy in the morning that way. I simply add water only where it’s needed. Most of us have slept with our damp hair in braids in order to wake up with wavy hair the next morning. You probably won’t get much more than a few gentle waves if you just do one big braid, though. Instead, use multiple plaits for multi-faceted waves. Tip: You can alter the size of the curls according to the size of the bun. For example, a smaller bun will create smaller curls. So, how will you try to do your curls next time? 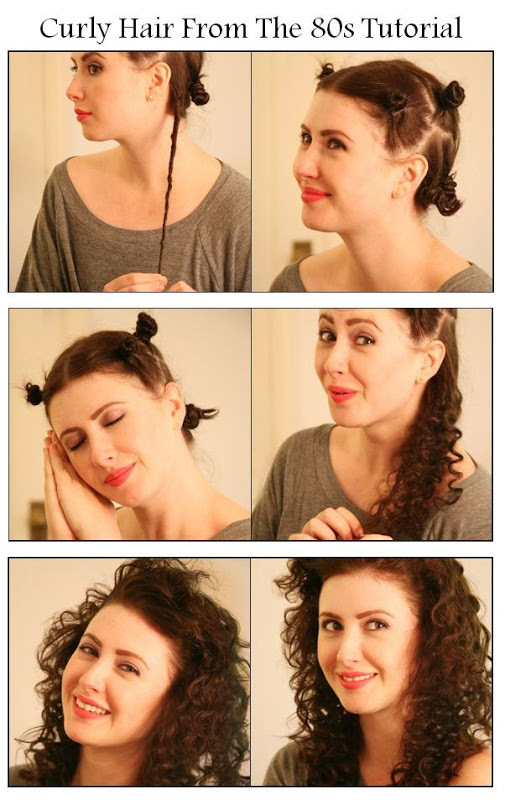 Will you use the friar tuck or the sock method, or maybe the overnight twisted bun tutorial? One thing is for sure, no matter of the method you choose you will achieve the perfect curly hairstyle without using any heat. And this is something that your hair will love for sure. Thank you for reading and don’t forget to stay up to date with Fashionsy to find other interesting and useful hair tutorials.